Home Blog Posts New to the Jedi Path? Start Here. So, you found us. Perhaps you saw Force Awakens or The Last Jedi and went hunting for people who saw something substantive in the Star Wars mythos. Or maybe you saw a puff piece about “The Jedi Religion”, or saw the recent documentary American Jedi. Whatever brought you here, you are most welcome. Although many (but not all) of us are Star Wars fans, being a Jedi isn’t just about occasionally dressing up or having fun with light sabers. A Jedi is someone who through their own will and spirit strives to be a stronger, better, and more helpful person to the world. “Utilizing the truth in fiction”, we strive to follow a path inspired by the fictional Jedi in Star Wars in our real lives. 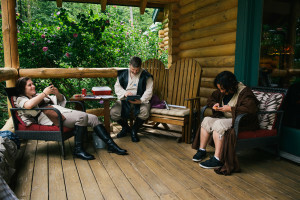 Here is a roundup of our best posts on what it means to be a Jedi, and how to get there. Also feel free to check out our FAQs, Resources, and About sections. Our contact form is always open for questions, concerns, or advice. May the Force be with you!